Smells from behind the Suubi school waft over the compound as the cooks prepare a meal for the many children & school staff. The children line up with colorful plastic cups in hand, and wait their turn for a ladle of food. Their laughter lifts through the air and they chatter among themselves as if they hadn’t a care in the world! If it weren’t for their sponsors, they would be walking the path home with a growling stomach & an empty feeling. But today they can run home with the energy and joy that every child deserves to feel. 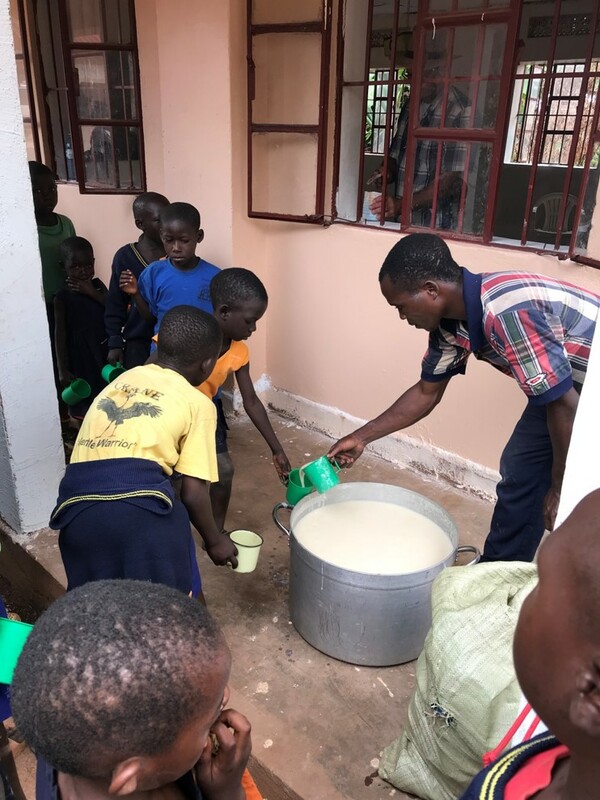 The Suubi students and teachers are provided two meals per day. This often consists of a meat porridge, rice or posho. 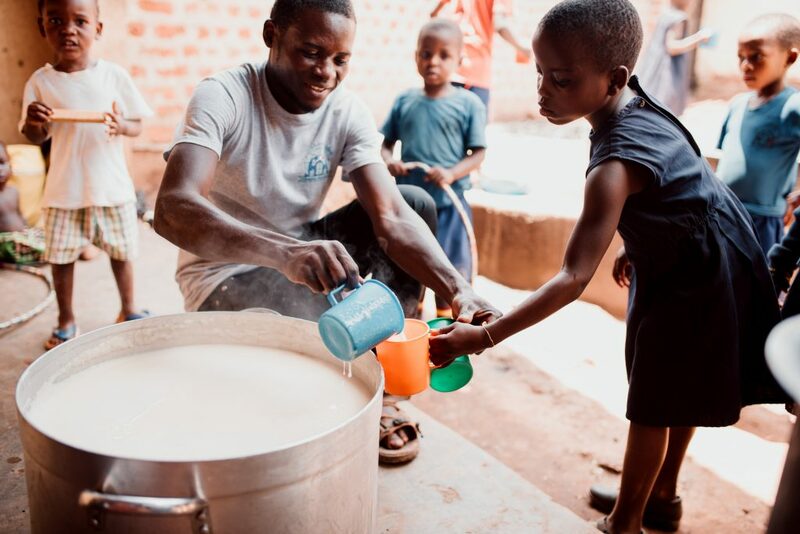 Posho is a staple food in Uganda, and is eaten by Suubi’s staff and fed to the children we serve during the week. Posho is a mixture of maize flour (cornmeal) and water that takes on a porridge-like consistency. 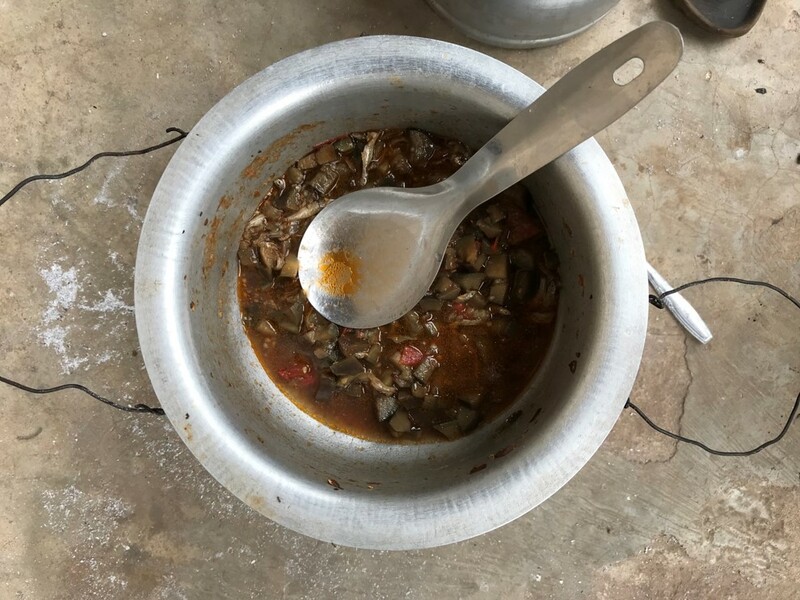 It is usually served with beans, chicken or stew. 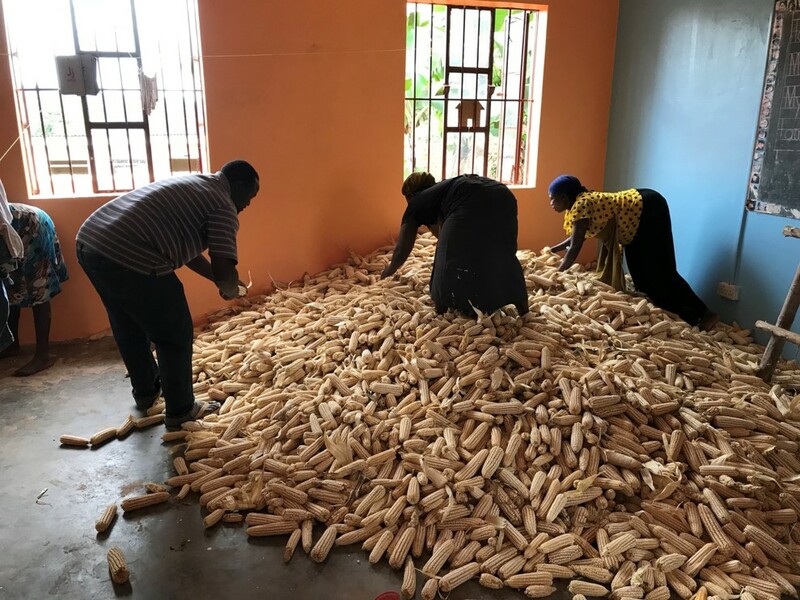 Slowly pour the maize flour into the boiling water while stirring constantly and vigorously to prevent lumps from forming. Continue stirring with a spoon and mash any lumps that may form. This will keep the posho smooth. Continue adding flour until the consistency of the posho is sticky. Keep stirring for 4 minutes, until the mixture is very thick and comes away from the sides of the pot. Serve with your choice of beans and/or vegetables of your choice.